Following the delivery of the PricewaterhouseCoopers report into Steinhoff, the full impact of the apparent fraud is just beginning to sink in, and even for those expecting the worst, it's gobsmacking. According to PwC, between 2009 and 2016, the company apparently created fictitious profit-boosting schemes totalling R106bn, which is just under three times the net profit of the company over that period. Sometimes you hate twitter. Sometimes you love it. But you have to love one tweet from well-known investor Karin Richards who managed to capture PwC's 3,000-page forensic investigation that took 14 months and over 100 auditors to compile in a single tweet. 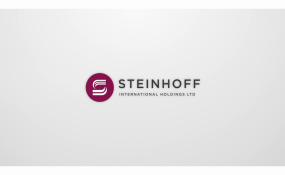 "Steinhoff was in effect just a giant Ponzi scheme. Fictitious receivables were 'settled', in a merry-go-round, by increasing property valuations, trademarks & goodwill. These inflated values were then supported by intergroup rentals/royalties & orchestrated intergroup 'payments'," she tweeted on Sunday.